The two sours will include a Brett Pale Ale with Red Roselle Hibiscus (4.45%ABV) and a Dry-Hopped Brett Pale Ale (4.45%ABV). Each bottle will sell for $15 and be available starting at 1:00PM from the Big Top Production Facility at Taproom | 2 Huntsman Place, Asheville, NC. The Brett Pale Ale with Red Roselle Hibiscus was aged in French oak red wine barrels for over a year and bottle conditioned with saccharomyces and brettanomyces for two months. It tastes of berries, tannins and floral notes from the hibiscus and oak. This beer is sprightly with a smooth understated bitterness and super clean, dry finish. 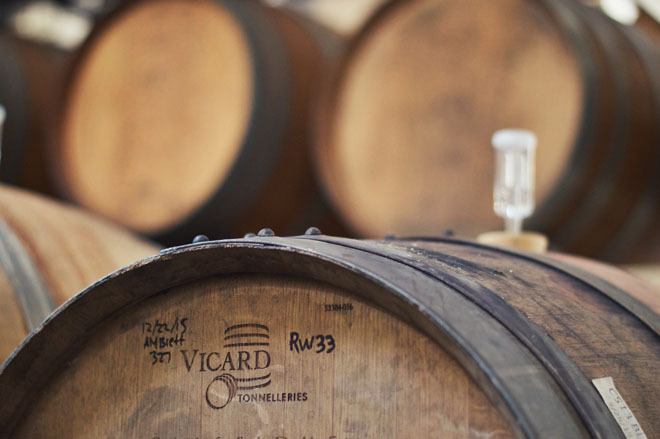 The Dry-Hopped Brett Pale Ale was aged in French oak white wine barrels for over one year and bottle conditioned with saccharomyces and brettanomyces for two months. Dry-hopped with Hallertau Blanc and Citra, the citrusy and fruity hops accentuate the oak and white grape notes that result from the one year in white wine barrels. This beer finishes with a smooth, understanded bitterness. Hi-Wire Brewing will be hosting its inaugural NC Small Batch Festival, Saturday, March 4th from 1:00PM-5:00PM at their Big Top Production Facility and Taproom. The festival will include 20 North Carolina craft breweries that have brewed a small, one-off-batch, that can not be found in the market. No styles are off-limits, as long as it is a one-off product. Hi-Wire Brewing Co-owner, Chris Frosaker notes “We are extremely excited to invite our friends and fellow North Carolina brewers into our production brewery to share their beer. The combination of all respected, North Carolina breweries pouring one-off batches of beer is going to be a blast. 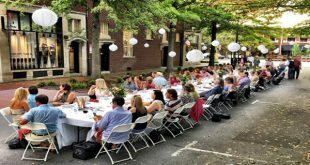 We can’t wait to see what everyone came up with.” Guests can expect food from Foothills Local Meats, reggae beats from local band Chalwa, and delicious beer. Entry is $8 and includes two beer tokens and commemorative tasting glass. 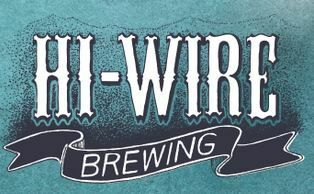 For more information visit our facebook page @Hi-Wire Brewing or website at www.hiwirebrewing.com.